Hi there, my name is Alex Reed, and I am the chief editor at Bodyketosis. This site is the main driving force for me to keep working on myself and my body. 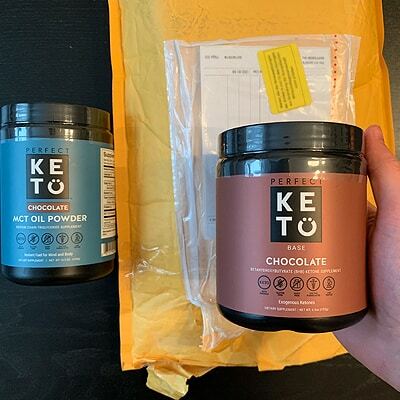 Bodyketosis grew out of curiosity and need to understand low carb lifestyle (read more about the backstory below), and it also works as my health diary, where I cover topics that I learn and go through by myself. The articles on Bodyketosis are based on years of experience with keto and low carb lifestyle and is based strongly on scientific research. We will do the difficult research and try to present our findings as simple and understandable as possible because we are passionate about the low-carb lifestyle and all the magical ways it can improve our lives. What can you expect from Bodyketosis? If you have any suggestions, requests or questions related to keto lifestyle and this website, then use our contact page to let us know how we can help you out. I am not a nutritionist nor a doctor. The information on this site is not meant to be given as medical advice. The content on Bodyketosis is based on personal experience and profound scientific research. This website is a source for sharing information, resources, and motivation. Before starting any diet or taking supplements that may interfere with medications, consult with your physician or doctor to assess all the health issues that could arise and work with them accordingly. and health again using the low-carb lifestyle. Okay, by now you may be wondering how did all of this got started? Fair question. Here’s the story. Some years ago there was a tragedy in my family which resulted in my aunt being in a coma for several weeks. Thanks to good medicine and awesome doctors she came back and almost recovered fully, but during the process, she was also diagnosed with type 2 diabetes (part of the reason for the coma). The period was tough and very stressful for our family. A couple of months later her daughter also started to feel bad and ended up in the emergency room because of high blood pressure, where she also was diagnosed with type 2 diabetes. Now the thing is that all the women in my family are extremely overweight. When looking back, then it was just a question of time, when something like this would happen. After the emotional and physical rollercoaster between hospitals over six months, the doctors prescribed a low-carb diet for my aunt and her daughter, to keep their blood sugar levels in place and to manage the type 2 diabetes. There wasn’t any wiggle room. It was all or nothing situation. At first, it was challenging for me to wrap my head around how much diet can make or break your life and health – after all, wrong diet was the main factor for the development of their type 2 diabetes. So, I started researching about low-carb and ketogenic diets and were even more surprised when I learned how ketogenic diets not only can help to control your blood sugar levels and weight, but also are used to treat different medical conditions like cancer and epilepsy. There wasn’t much choice for me after all of this. I was already packing around 35 pounds of overweight, and I needed to help my family to conquer their diagnoses and improve their health. Also, seeing the health pattern over generations, it’s just a question of time when I will be next – I needed to change my choices in life. So, that’s the backstory of how Bodyketosis was born. All the content you will find on this site has been planned and edited by me to ensure we meet the highest quality standards and to be backed up with real science. I do tend to use freelance writers to help me put articles together, but nothing is published without a green light from me, the chief editor. This is to ensure all information we publish is accurate and you can trust it to make dietary and purchase decisions. As much as possible we try to get our hands on the products mentioned in this blog to gain real-life experience with these items, but it is not always possible, so we also rely on extensive online feedback from real customers of these items. I also try to provide additional tips and tricks for different topics and products so that you can get the maximum value out of those. All in all, I want this site to be a place you can trust and that is not rigged by trivial information, so you can use our content to make the best decisions for yourself when it comes to dieting. So why should you read Bodyketosis? I would say the main reason you would want to check us out is that you want to take charge of your weight and life once again, by reading easy to understand and science-backed information and tips related to low-carb lifestyle. If you are on board with this, I look forward to having you read our in-depth content. You can start by learning about the ketogenic lifestyle here.